The Kansas City Chiefs had a plethora of guys at rookie minicamp. The short burst of practices finished on Monday with 68 guys on the field. Six draft picks were highlighted, although one was held out the last two days. Fourth-round selection and safety Armani Watts sat out the final two days with a bruised shoulder. Fourteen undrafted signees saw the gridiron, one being Kansas State return specialist Byron Pringle. Kansas City holds organized team activities later this month before a mandatory minicamp at the start of June. 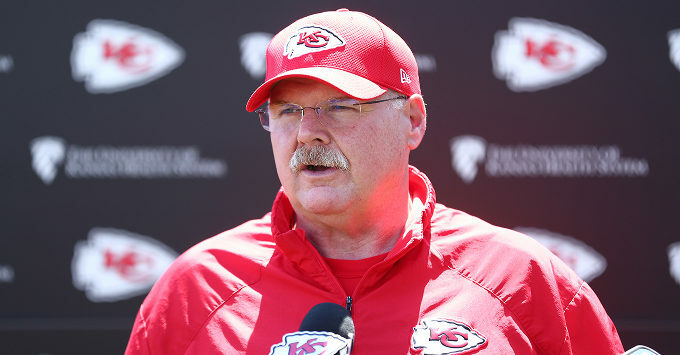 Head coach Andy Reid met with media members to discuss what he saw at camp.